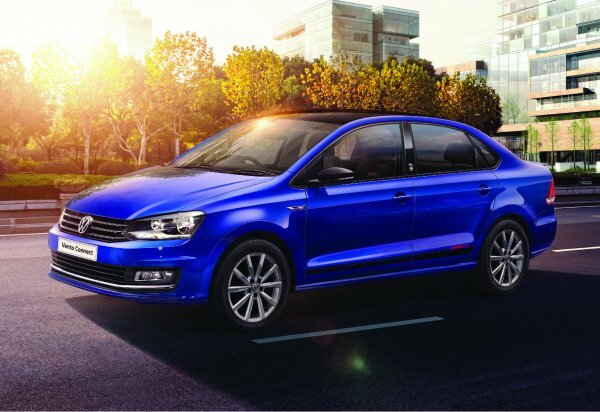 Volkswagen has announced today Volkswagen Connect, an intelligent connected vehicle assistance, new Lapiz Blue body color across its popular carlines – Polo, Ameo and Vento. Volkswagen Connect is an intelligent, connected vehicle assistant that offers a seamless connected car experience to drivers. The interactive ‘Connect’ app enables users to connect their car to their smartphone through a “Plug and Play” data dongle fitted to the on-board diagnostics (OBD) port of the car. Once installed and connected with a smartphone via Bluetooth, customers can experience advanced connected features such as trip tracking, fuel cost monitoring, driving behavior and much more. The Connect app is compatible with both Android and iOS platforms and is available to download at the Google Play and App Store respectively. 6. Service appointment: The app can automatically inform the dealership when the customers car is due for service. With this intimation, the dealer workshop can contact the customer and offer an appointment at a convenient time.